Beginners Burlesque 101 may be the upcoming event you’re looking for. 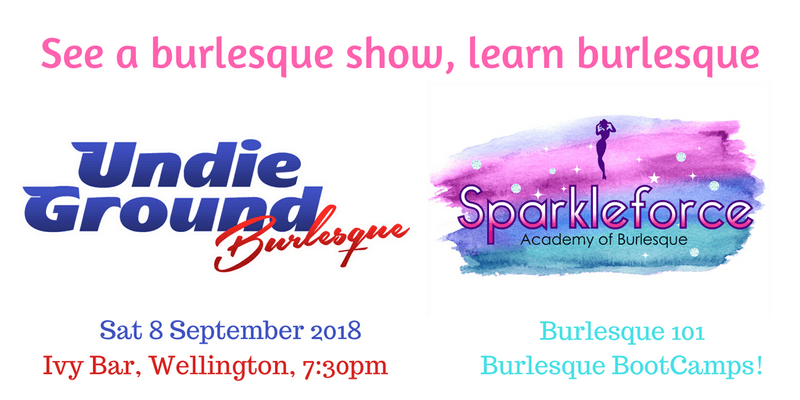 This series of classes Sparkleforce will teach you the moves and walk you through one way of creating a routine for a performance. The outcome will be: an increase in your confidence and a contribution to ideas to empower your experience as a performer. Classes are limited to 8 students per class.